The WCT moves west to another tropical island, Bali, for the Oakley Pro Bali from June 18th to 29th, fresh off of Kelly Slater's dominating win at the Fiji Pro. After the first 4 events of the season, Kelly has won twice and sits atop the world tour rankings. But before we crown Kelly with his 12th championship, let's not forget about some guys lurking right behind him. Mick Fanning is in second place and has actually been more consistent than Kelly this season, reaching the quarterfinals of every event - Kelly can't say that. Also, in the last three competitions, Jordy Smith has reach the semis, finals (won it) and quarters, so he's surfing hot right now. We'll see if their consistency holds up in Bali. The Oakley Pro Bali has the option every day of setting up at either of 2 breaks depending on the swell - Canggu or Keramas - just the Fiji Pro switched off between Restaurants and Cloudbreak. Keramas: off the eastern shore of Bali, a super high performance wave that can produce deep tube rides or puntable sections. Black sand beach. Sorry to the goofy footers, it's a right hand wave. The wave used to be "secret" until 2003 when a road was built and access opened up. Canggu: rather than all rights, Canggu offers some left- and right-hand waves. 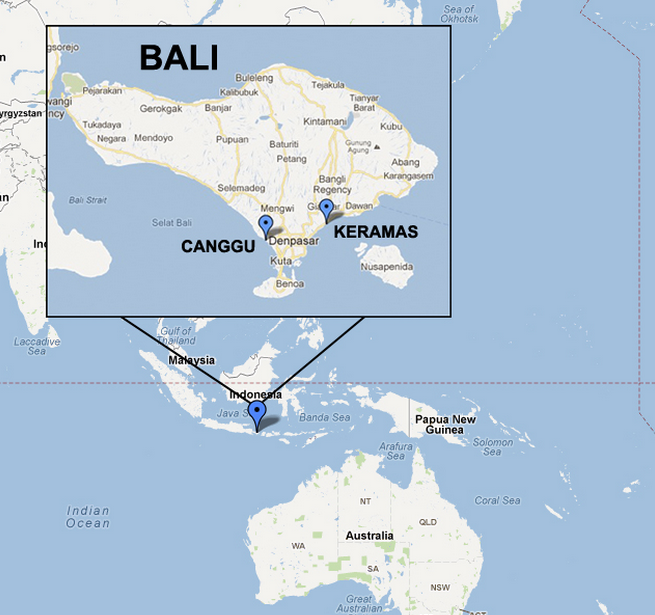 Off the west coast of Bali in a more developed area of Bali than Keramas. Works best on mid-to-high tide. 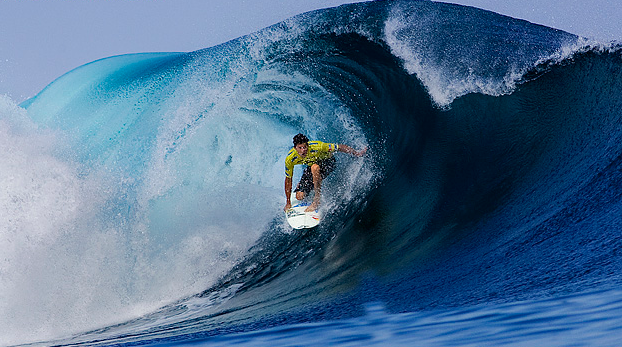 Big news is that Bruce Irons will be competing at the Oakley Pro Bali as one of the event's 2 wildcards. The last time the WCT made a stop in Bali back in 2008, Bruce won the Rip Curl Pro Search Uluwatu. Growing up in Hawaii, Bruce is as accomplished a barrel rider as any surfer out there and if Keramas is barreling, watch out! He has the ability to take down anyone. One big change for Bruce is that after 19 years surfing for Volcom, he is now surfing for Fox. This will be his first WCT event in the Fox gear. Don't forget to read up on the first 4 events of the year: Quik Pro Gold Coast; Rip Curl Pro Bell's Beach; Billabong Rio Pro; and Volcom Fiji Pro.